A rustic lodge that will transport you back to a simpler time, Lake Quinault Lodge is authentic and cosy getaway right on the waters of Lake Quinault. A respite from the stresses of the modern world; here you’ll be able to curl up by an open fire after a long day hiking in one of the most naturally beautiful spots on earth. 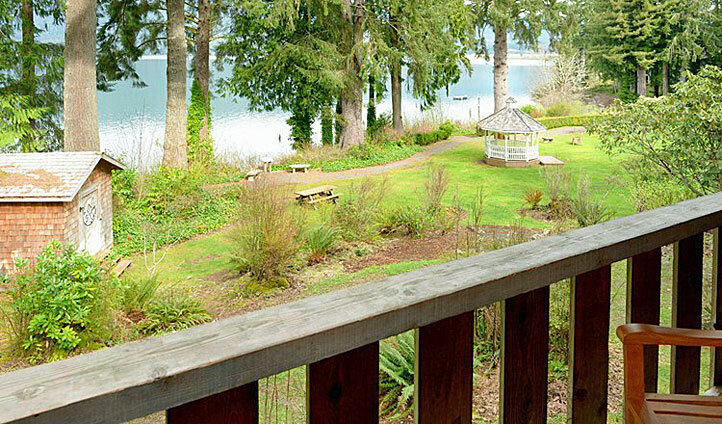 The lodge lies right next to the stunning Lake Quinault, and is thus on the doorstep of hiking trails and scenic drives like you’ve never experienced before. Just three hours from Seattle, this lodge will serve as an idyllic stop off point on your travels through the Olympic National Park and Washington State’s expansive wilderness. 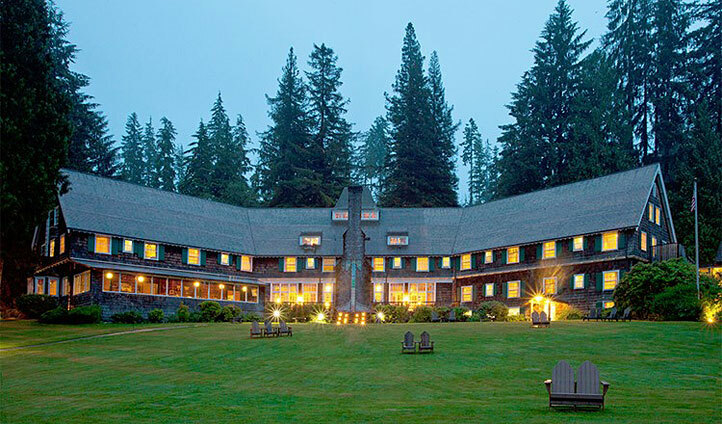 Rustic and undeniably charming, Lake Quinault Lodge was built in 1926 and hasn’t much changed over the years. It’s one of Washington State’s most authentic offerings, and will feel like the ultimate home away from home. To make the most of the lodge’s heritage, we’ll have you holed up in one of the Historic Rooms, which exist within the original main building and offer guests an insight into 1920’s lakeside living. Stepping back in time has never felt so good. A stay at Lake Quinault Lodge allows you to experience old, wild America and the peace you’ll enjoy here is second to none. With wilderness right on your doorstep and a cosy, fire-warmed lodge to return to each evening; you’ll find it incredible hard to wave goodbye.